It is a ‘Non-Heating’ formula with low levels of starch and has a good level of protein for muscle development and topline. Highly-digestible fibre sources include sugar beet; while oil and linseed promote condition and a shiny coat. A high level of yeast promotes a healthy digestive system, with added vitamins and minerals including magnesium. 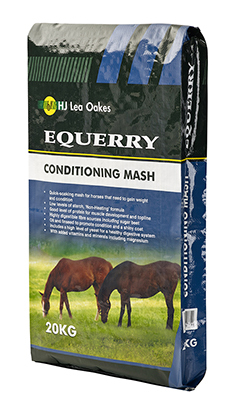 Is Equerry Conditioning Mash ‘Non-Heating’? Competition closes May 14, 2019.